A new report from the Food and Drug Administration says that the popular herbal substance kratom acts like a prescription-strength opioid. What’s more, the FDA says, kratom has been responsible for at least one death and is suspected of contributing to many others. 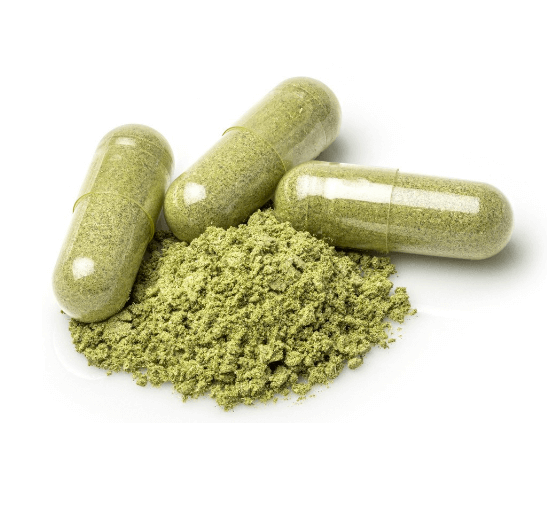 People across the country have been flocking to kratom (sold as supplements and in beverages) to treat a host of conditions, including chronic pain, mood disorders (like anxiety, depression, and PTSD), and opioid withdrawal. But federal regulators say that kratom itself can be dangerous. For several years, the Drug Enforcement Agency has listed it as a “substance of concern,” and the FDA has warned of its addictive potential. To better assess this risk, FDA scientists analyzed 25 of the most prevalent compounds in kratom. They found that, on average, those compounds are alarmingly similar to scheduled opioid drugs (meaning drugs that have been deemed strong enough to warrant restricted access by the DEA). Based on its analysis of adverse-event and poison-control data, the agency also says the number of kratom-associated deaths has increased from 36 to 44. Kratom users have argued that such incidents may not be due to kratom itself but rather may be caused by adulterants that kratom products can contain or by other substances that kratom users may be taking in tandem. But today’s report indicates that at least one death was tied exclusively to kratom, as the victim had not been taking any other drugs. Kratom is a tree native to Southeast Asia, where people have used its leaves for centuries to treat aches, pains, and other maladies. The leaves contain several compounds that produce a caffeine-like stimulant effect when consumed in low doses, and act like a sedative in higher doses. Kratom leaves are typically crushed into a powder, then smoked; brewed in teas; or consumed in gel capsules. These products are available through online vendors, at head shops, and, in some states, through vending machines and at bars that sell kratom beverages. Because it has not been banned by the DEA, and is often regarded as a dietary supplement, kratom currently doesn’t require a prescription. According to a 2017 survey published in the medical journal Drug and Alcohol Dependence, most U.S. consumers who take kratom regularly say they use it to manage chronic pain and/or a mood disorder. The same study found that the use of kratom to treat opioid addiction is far less common. Can Kratom Stop Pain and Depression? It’s too soon to say, because actual research on the plant’s effects is still scarce. Anecdotal reports suggest the drug can help ease anxiety and can curb the symptoms of opioid withdrawal. But the FDA says there is no reliable scientific evidence to support such claims and, at the moment, there are no FDA-approved medical uses for the substance. But the only thing everyone agrees on is that much more research is needed. What Are the Dangers of Using Kratom? Like any unregulated substance, kratom comes with a number of potentially serious risks. It may make you sick. In addition to the FDA-reported deaths associated with kratom, the Centers for Disease Control and Prevention says that poison-control centers across the country logged a ten-fold increase in kratom-related calls (from 26 cases in 2010 to 263 in 2015). Those calls included reports of nausea, vomiting, drowsiness, and irritation. It can be dangerous when taken with other drugs. The FDA says fatality reports indicate that some consumers are mixing kratom with other drugs, both legal and illicit. There is no research yet to say what the risks of such combinations might be. It can be addictive. According to the DEA, kratom was banned decades ago in its native Thailand because of its high propensity for abuse. And some U.S. users have reported that after turning to kratom to help kick an existing opioid addiction, they eventually became hooked on the plant itself. For now, it depends on where you live. Several cities (including Denver, where even cannabis is legal) and six states (Alabama, Arkansas, Indiana, Tennessee, Vermont, and Wisconsin) have either seriously restricted the use of kratom or banned it outright. Anyone caught selling or using the substance in those states could face arrest or fines and other penalties. Florida and New York are considering legislation that would do the same. The agency made the unprecedented move of reversing its decision following a public outcry from both consumers and medical experts who argue that the plant should be regulated and studied, not banned. But that reversal was not permanent. The DEA is currently reviewing data submitted by the FDA (including today’s report), along with thousands of public comments on the issue. A DEA spokeswoman says that it could be several months to a couple of years before a final decision is made about if or how kratom should be classified. But she declined to say what specific impact the current study would have on those deliberations. In the meantime, the drug’s defenders say that banning kratom could potentially drive millions of kratom users to prescription opioids (or worse) to treat their pain or manage their addictions. What’s more, they say, criminalization would make it very difficult for scientists to study the plant (when cannabis was classified as an illegal substance, research on its therapeutic properties all but ground to a halt). But regulators have insisted that precautionary measures are the best way to protect consumers. The FDA began banning kratom imports in 2012 (long before today’s findings were known) and has since seized several shipments of the substance from international-mail facilities across the country. If you are battling chronic pain and hoping to avoid prescription opiates, see our previous coverage for a list of safer options, and talk to your doctor about which ones make the most sense for you.